This four-day instructor-led course provides students with the knowledge and skills to capitalize on their skills and experience as an Oracle DBA to manage a Microsoft SQL Server system. This course provides training for Oracle DBA to compare and contrast Oracle database management to SQL Server database management. This course is intended for experienced Oracle database administrators (DBAs) who work in an enterprise-level environment and require the skills to begin supporting and maintaining a SQL Server database. Extend their existing competencies as Oracle DBAs to SQL Server. Manage SQL Server using the same perspective of an Oracle DBA. Understand the underlying architecture of SQL Server. Manage the SQL Server system, databases, and users. Manage database files by backing up or migrating to other systems. Define and implement monitoring and tuning solutions to the SQL Server system. Express High Availability options to SQL Server. Explain the process and tool to migrate Oracle schemas to SQL Server databases. This module provides an understanding of the two major components of a database system. The database constitutes the files that store data, and the instance is the collection of server resources that provide a powerful, high performance interface to the data. It also illustrates how the two interact to provide data requested by the clients. Viewing the database and the instance as two separate interactive components of the RDBMS helps us to divide-and-conquer the vast set of topics covered in this workshop. Clearly define database and instance within the context of this course. Understand some key differences and similarities in how Microsoft and Oracle implement the database and instance in their product solutions. Understand client interaction between a database and instance. Recognize some key limitations of the database and instance components within Oracle Database and SQL Server systems. This module discusses the memory and process architectures that are key to a database’s performance. The module goes into the details of the hierarchy of memory areas of an instance and its configuration. This module also describes how the various functions of the RDBMS are accomplished by the different processes running in the background. Finally, in this module, we look at the changes Oracle has made in its internal architecture on Microsoft Windows platform between 9i and 12c to exploit the advantages offered by the operating system mechanisms and how they compare to SQL Server’s implementation. Identify key database memory structures. Identify memory areas inside the Oracle System Global Area (SGA) and their equivalents in Microsoft SQL Server. Understand process- and thread-based architecture relevant to a relational database management system (RDBMS). Control resources in SQL Server. Detail client interaction with the database server. Understand background processes and threads. This module goes in-depth into structure, components and contents of the files that constitute the database. To be able to manage hundreds of gigabytes, terabytes, or even petabytes of data, it is important to learn the techniques by which storage is viewed (physical and logical) and allocated. Databases use various hierarchies of storage structures such as blocks, extents, segments and table spaces to control storage allocation. The definition of schema and the objects that comprise the schema are introduced here. SQL Server uses similar techniques as Oracle; however the differentiation from Oracle is in the functionality. Also covered in this module is how SQL Server 2014 supports placing data and log files on Microsoft Azure storage. Understand schema and schema objects. Identify logical and physical structures using storage organization. Explain the architecture of data storage components and their hierarchy and relationships. Understand how to build the database using physical and logical definition storage structures. Comprehend the transaction logging model employed to perform transaction recovery and rollback. This module examines the schema objects in both databases and introduces the new SQL Server 2014 In-Memory OLTP tables and clustered columnstore index objects. While all schema objects are mentioned, of particular interest are tables, the type of data they can hold, and their storage layout. A proper understanding of data types and storage architecture of tables and indexes is useful in many aspects of database design and administration, such as fragmentation, capacity planning, etc. A mapping of the native data types from Oracle to SQL Server provides the student with a very good reference on what data types are compatible and what are not. The organization of data in tables and the various forms of data. Types of data that can be stored in tables. Organization and presentation of data in complex real-world forms. Storage organization of the schema objects. This module focuses on how data is accessed and manipulated by the clients. Important concepts such as transaction, session, and so on are discussed here. This module describes the various commands available through SQL for manipulating data, metadata, transactions, sessions, and instances. An overview of procedural extensions to the SQL language available in Oracle (PL/SQL) and SQL Server (Transact-SQL) is given in this module. Cursors, which are data structures used to convey results of user transactions, are discussed as well to provide insight into what SQL Server supports and how they are used compared to Oracle. Identify the components of the relational engine and their roles in processing SQL. Understand the basic concepts of Structured Query Language (SQL). Define procedural SQL constructs and their mechanisms. Identify query optimization by the relational engine and user overrides. 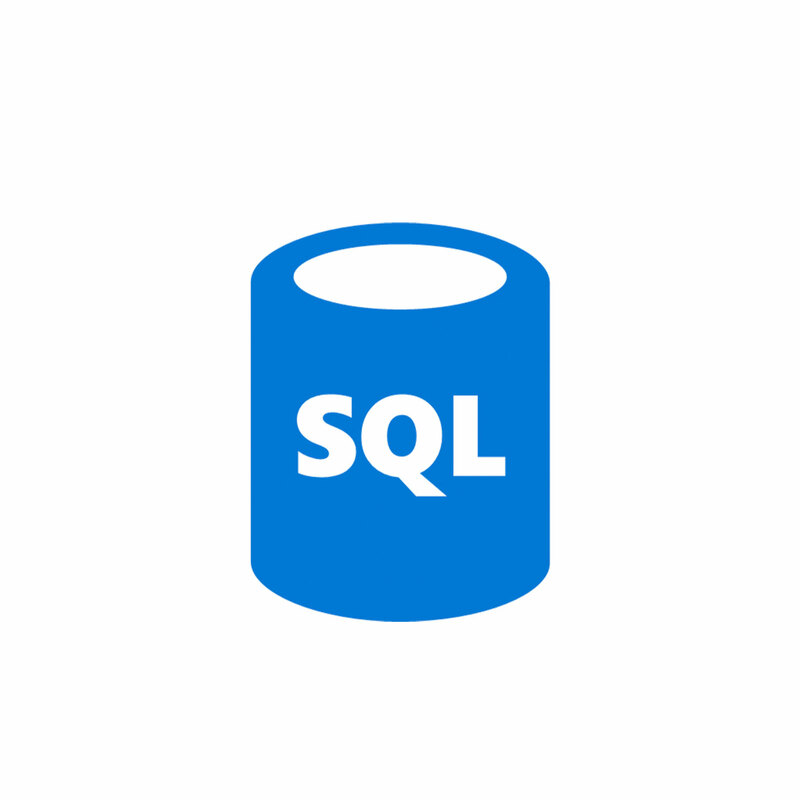 This module contains discussion on planning and installation of SQL Server. While basic duties such a creating, starting and shutting down a database are common to all databases, the options available for these functions are the key differences. True to the words “Knowledge is Power”, familiarity with the data dictionary and the different ways a SQL Server DBA uses it compared to an Oracle DBA is an invaluable skill for any database administrator. Plan and install SQL Server software. Create and configure an instance. Plan and create a database. Identify the various states in which a database can exist. This module provides the administrative aspect of schema objects described in Module 4. The discussion covers planning, creation and maintenance of many key schema objects. Choices in terms of table and index types, column types, and storage greatly influence the database growth, scalability, performance and maintainability. Understand identifier and naming conventions. Manage views and sequences/identity columns. Review dependencies within the database. This module fulfills the twin tasks of protecting data against unauthorized access (database security) and also from the destructive interaction between authorized users working concurrently (concurrency control). Under security, the various features for securing and auditing the database are discussed. In addition, this module examines the various features available for providing security such as logins, roles, profiles, and privileges. This includes the new capabilities of SQL Server 2014 to support the separation of duties that can be used to provide the lowest level of privileges for server roles. Implement security using the hierarchical structure of each login, user, role, and profile. Monitor database activity with auditing. Create and maintain login accounts. Create and maintain user accounts. Create and maintain user defined roles. Manage privileges for users and roles. This module examines the non-transactional mechanisms for moving data into and out of a database. Included in this module is a discussion of how to copy databases to a Microsoft Azure VM using the SQL Server 2014 Deploy database to Azure VM wizard. Another key feature covered is SQL Server Integration Services (SSIS). SSIS provides users with the capabilities beyond complex ETL and high performance data movement from heterogeneous data sources. It also adds data mining capability to the process and more, all of which will be discussed in this module. Other approaches to bulk data movement will also be covered in this module and guidelines will be provided on which tools are appropriate for what scenarios. Understand the tools and functionality in Oracle and their equivalents in SQL Server for moving data in and out of the database. Understand the tools and functionality in SQL Server to transport data into, out of, and within a database, as well as across multiple databases, multiple file formats, and other data sources and destinations. This module lists the types of errors encountered in a database and the various mechanisms that are available to safeguard against these errors. This module discusses various types of backups and recovery methods available. This module also covers Oracle’s Recovery Manager (RMAN) and the equivalent functionality available in SQL Server Management Studio. In addition, this module covers the new capabilities with SQL Server 2014 for managed backups and manual backups to Microsoft Azure storage. Identify database errors and various types of failure. Understand the various backup methods. Obtain a high-level understanding of recovery methods. Identify tools native to a relational database management system (RDBMS) that are used for backup and recovery. Explore vendor solutions for backup and redundancy. This module discusses the different approaches to instance and application tuning. It then discusses the administration of various types of resources such as system resources (such as memory, processes, storage, and so on) as well as low-level database resources (such as lock, latches, queues, and so on). This session features new capabilities of SQL Server 2014 that improve performance including In-Memory OLTP tables, delayed durability for transactions, online operations and buffer pool extension. Given the significant difference in how resources are managed and utilized in SQL Server compared to Oracle, it is important for the Oracle DBA to get a firm understanding of what is under the SQL Server hood in order to appreciate and best leverage the technology. Finally, it shows the mechanisms by which the database can be monitored for availability, errors, and performance. Statistics that can be captured for both proactive and reactive administration of the databases are reviewed here. Identify the monitoring requirements of a database. Distinguish sources of information for server, database, and instance activity. Identify server and database components that can be monitored. Examine SQL Server tools for monitoring. Create a methodology to develop an application and its related database with optimal performance. Understand the methodologies involved in tuning a running instance. Identify key elements in instance, database, and application tuning. This module provides a high-level overview of the scalability and high availability features available in each RDBMS. Oracle and SQL Server are both enterprise class RDBMS, therefore the topics of scalability and high availability are deemed important. However, due to the scope of the course the discussion here is at a conceptual level and does not go beyond the concepts. The features discussed include AlwaysOn, parallel query, replication, clustering, table partitioning, database mirroring, and database snapshots. Define high availability and understand its requirements. Compare high availability features in Oracle and SQL Server. Define scalability and understand its requirements. Compare scalability features in Oracle and SQL Server. This module focuses on automating the process of migrating from Oracle to SQL Server. This module presents an overview of the SSMA and will cover schema conversion, data migration, business logic conversion, validation, integration, and performance analysis. Install SQL Server Migration Assistant (SSMA) and extension packs. Emulate Oracle packages, sequences, and Oracle-style exception handling within SQL Server. Convert and migrate a schema. Convert procedures, functions, views, and triggers.